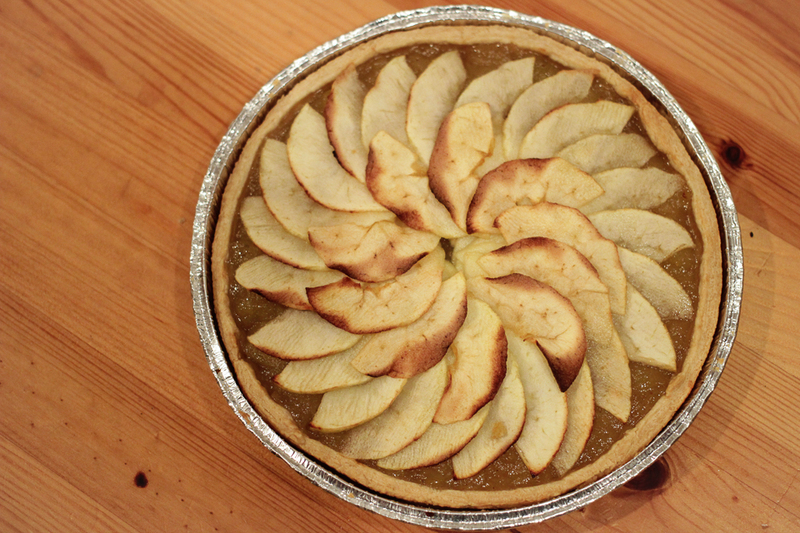 Apple tarts (and pies) in different variations can be found all over the world, such as the characteristic American apple pie, or the French tarte tatin. 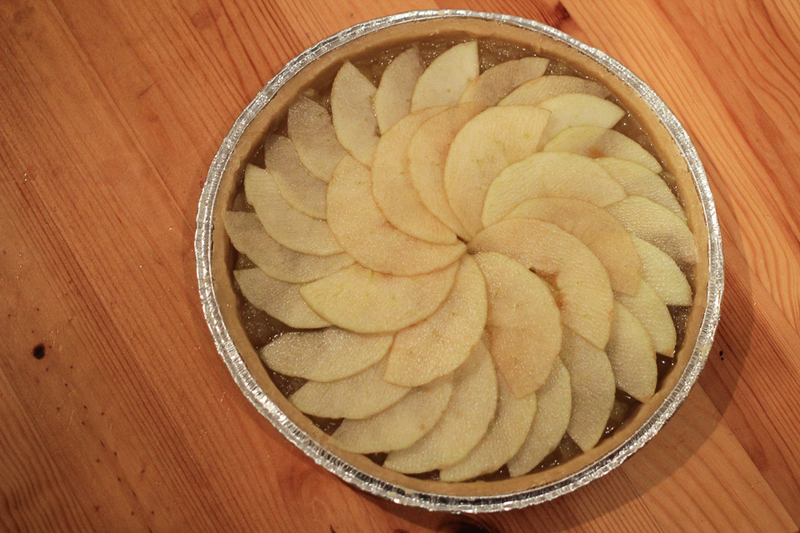 The differences are mostly centred around the pastry (e.g. 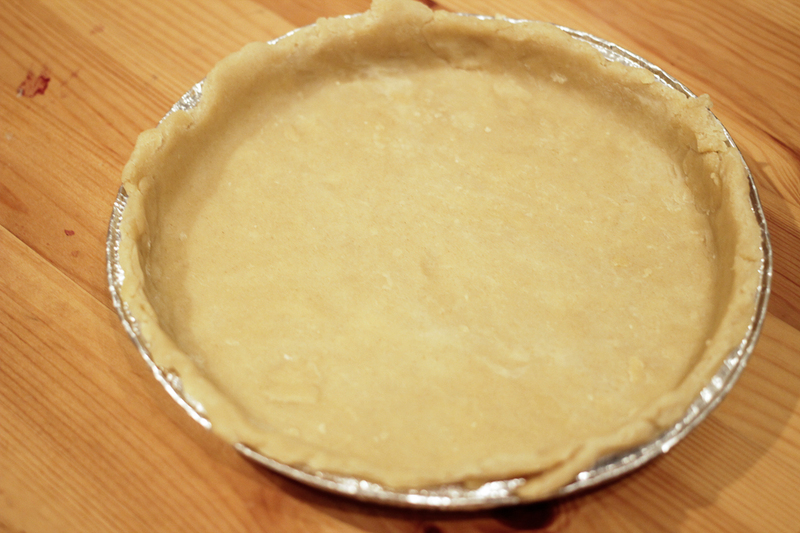 a lard-filled pasty pastry is used in some English apple pies) and an open or closed top (generally open tops are called tarts and closed tops are called pies). 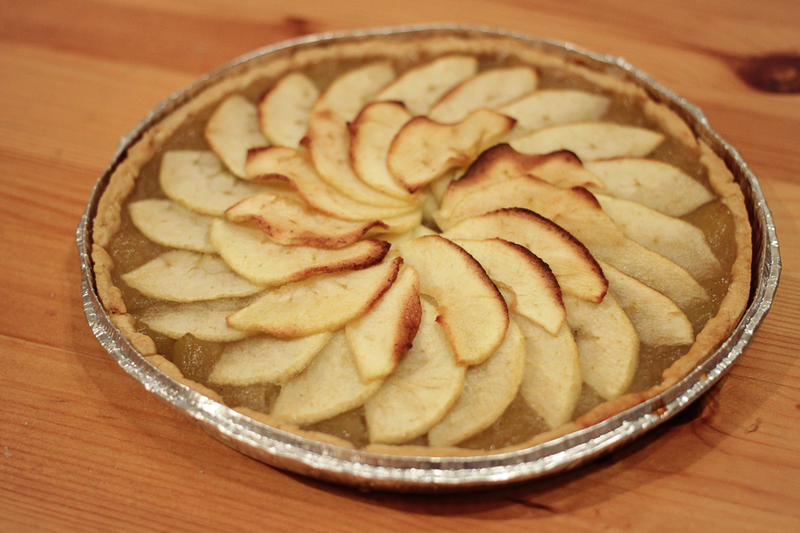 This recipe is based on the French tarte aux pommes, which is an open top tart using a pâte brisée shortcrust pastry, and is filled with apple compote topped with fresh apple slices. 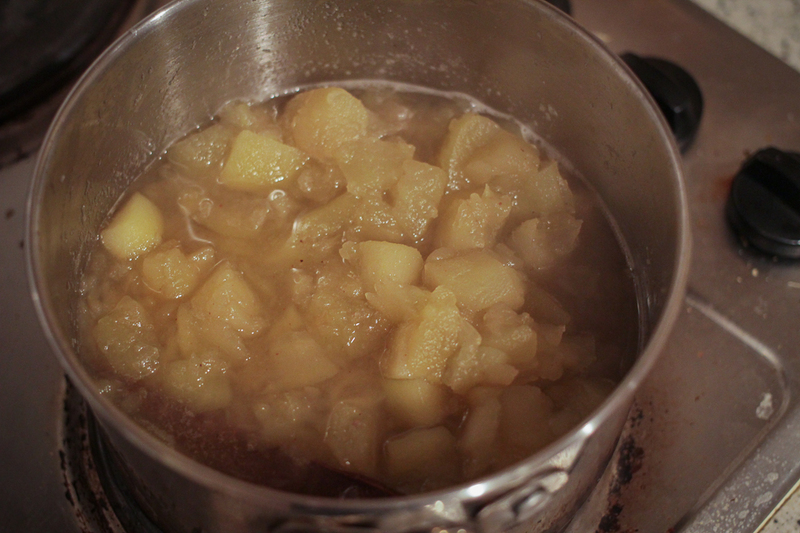 According to the the previous apple compote recipe. Cut the butter into cubes and chill in the fridge. Smaller cubes makes life easier in the next step. 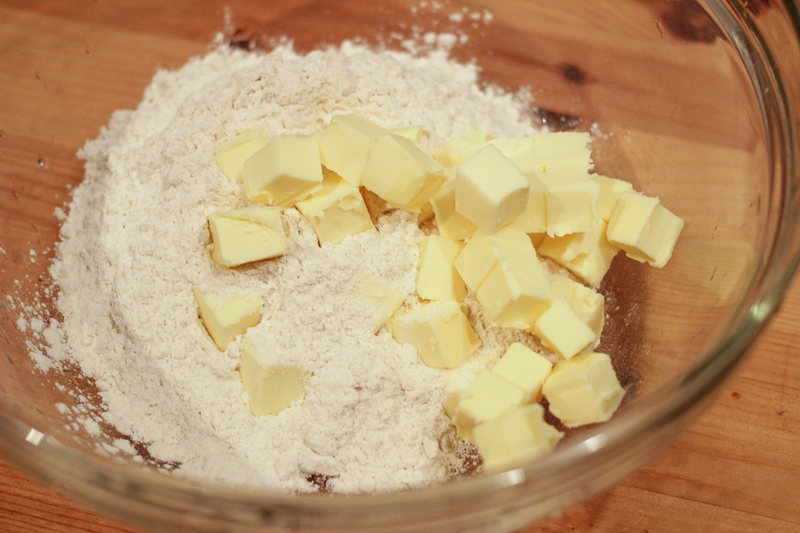 Take it out right before making the pastry and add the cubes to the flour. 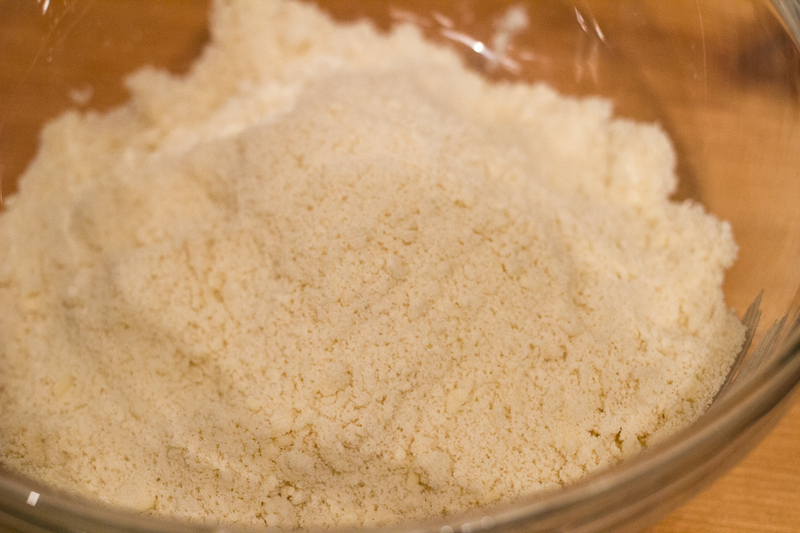 The desired end state is a dry, crumbly mixture without any visible lumps of butter. 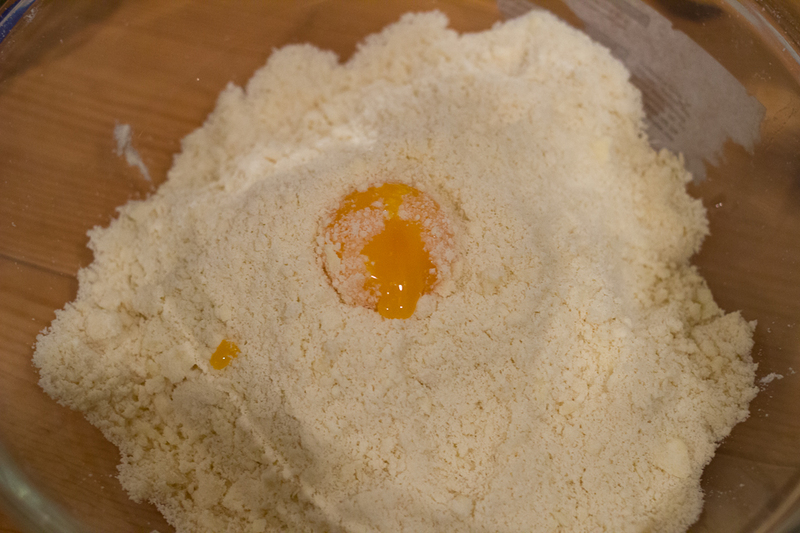 Form a well in the middle of the flour-butter mixture and add in the egg yolk and 1/2 tablespoon of cold water. Mix the dry mixture into the liquid, adding more water when it gets too dry. 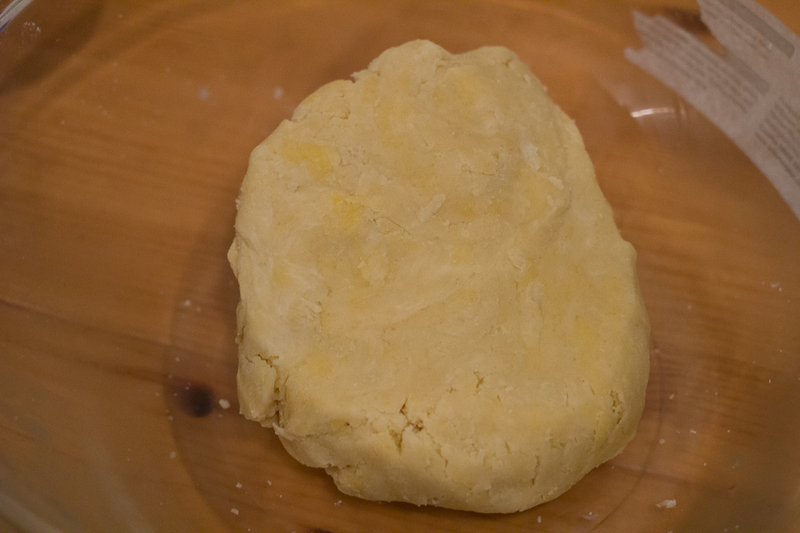 Try not to knead the dough too much, and add just enough water (around 2 tablespoon) for the dough to come together. Wrap the dough in cling film and leave it in the fridge for 30 mins. Oil the tart pan. 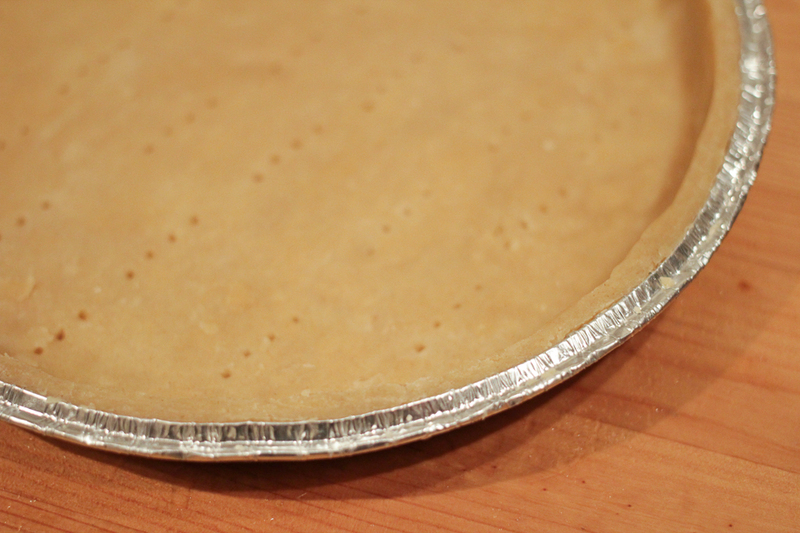 Roll the dough to around 0.5cm thickness and lay it inside the tart pan, pushing the bottom corner in to ensure that the dough adheres to the pan. 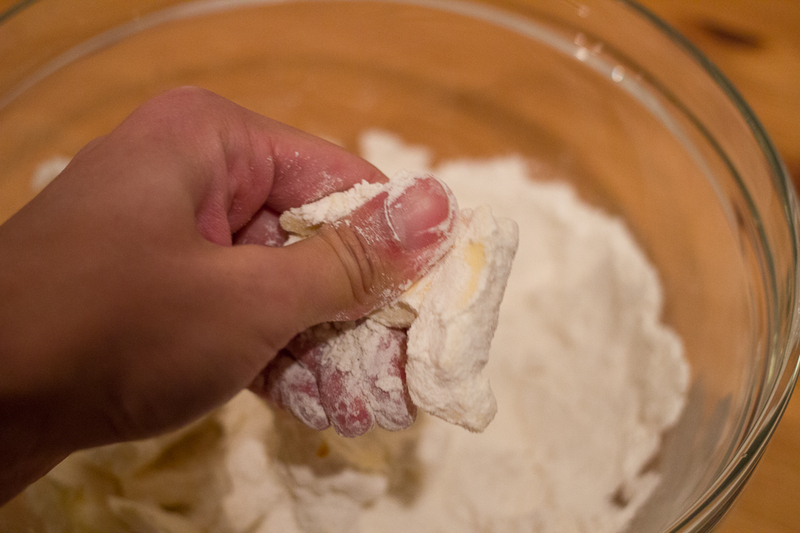 Perforate the bottom of the dough with a fork. 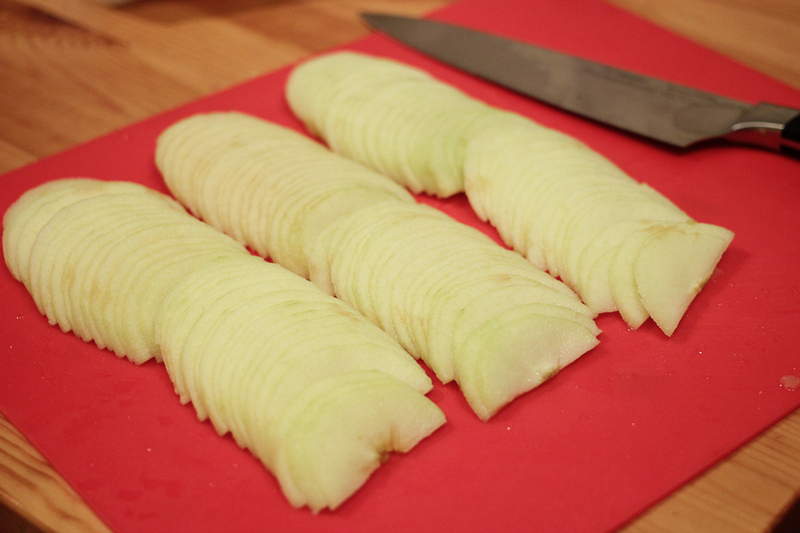 Use a knife to trim the circumference to get a neat edge. The trimmings can be reshaped and baked separately to make biscuits! 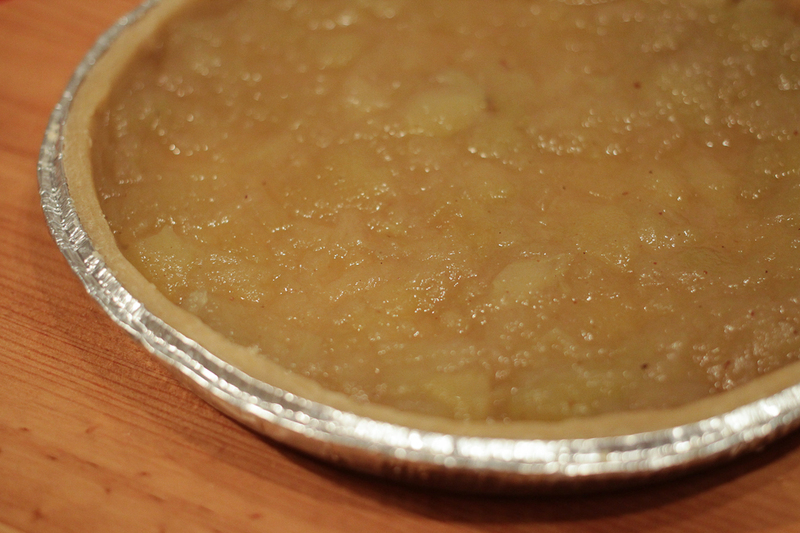 Fill the tart with apple compote. Peel, halve, and core the apples, then slice them as thinly as possible (preferably around 1mm thick). Lay the apple slices in a concentric pattern starting from the centre, overlapping with a larger outer ring, then a final circle in the middle. 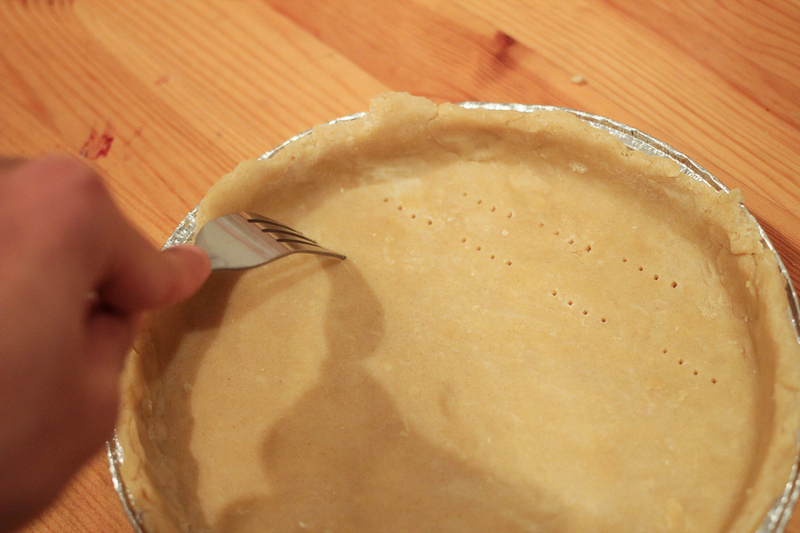 Sprinkle the sugar and apply small knobs of butter evenly over the top of the tart. 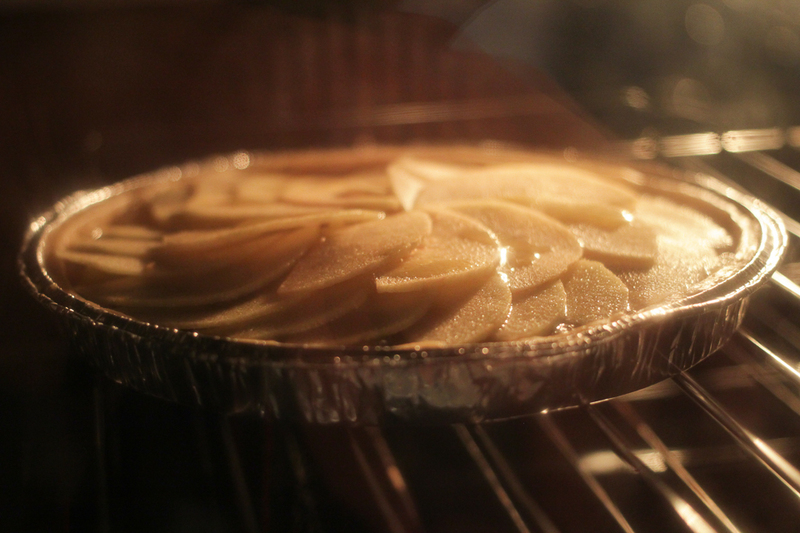 Send it into the oven at 180 degrees C for 30 to 40 mins, till the crust is cooked through and turns golden brown. 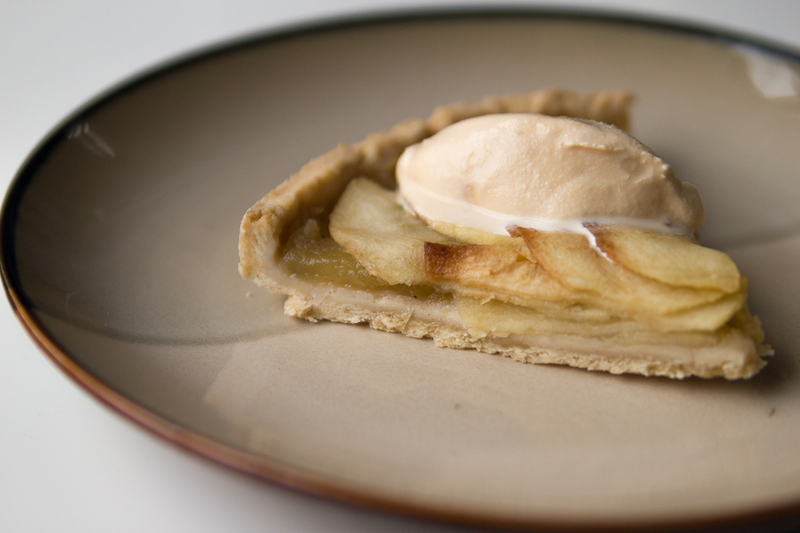 The tart tastes good on its own, but even better with a scoop of ice cream! Enjoy!